On Sunday, May 7, 2017 the 2,000th regular season game in Oriole Park history was played. The Orioles beat the White Sox, 4-0. 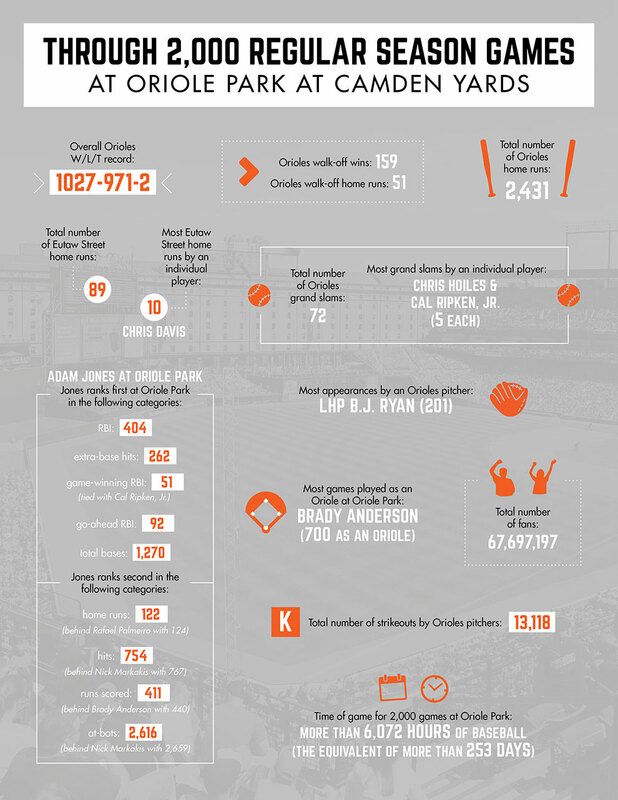 Click here to see statistics and records at OPACY through the first 2,000 games.